While my last stop in Langley was in a sheltered area, I was out in the elements at Boundary Bay. It was blustery but not worth aborting the visit. 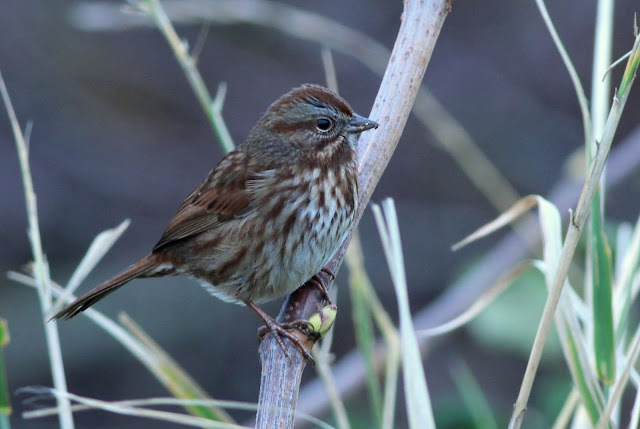 There had been reports of a White-crowned Sparrow being seen with a group of more common sparrows. Here's a group of White-crowned Sparrows, all in first winter plumage. 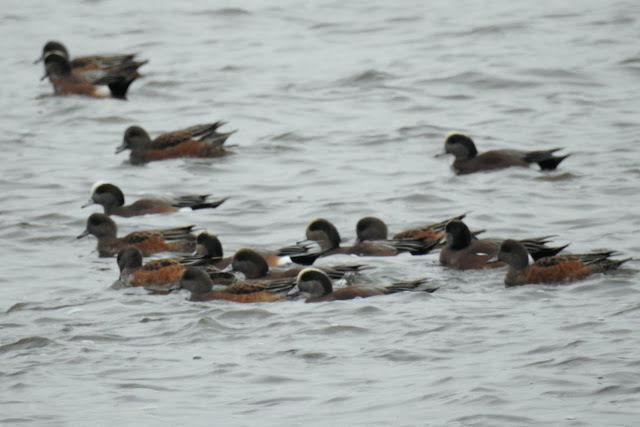 There were large numbers of ducks out on the surf, most of them Wigeon. In the sky, there were huge numbers of shorebirds on the move. Most of them are probably Dunlin. 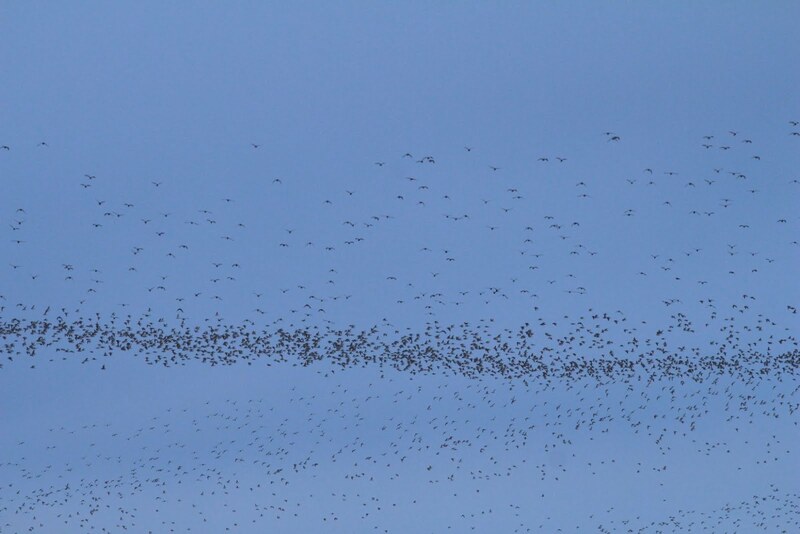 They eventually settled until a Peregrine Falcon decided to see if it could catch an afternoon meal. 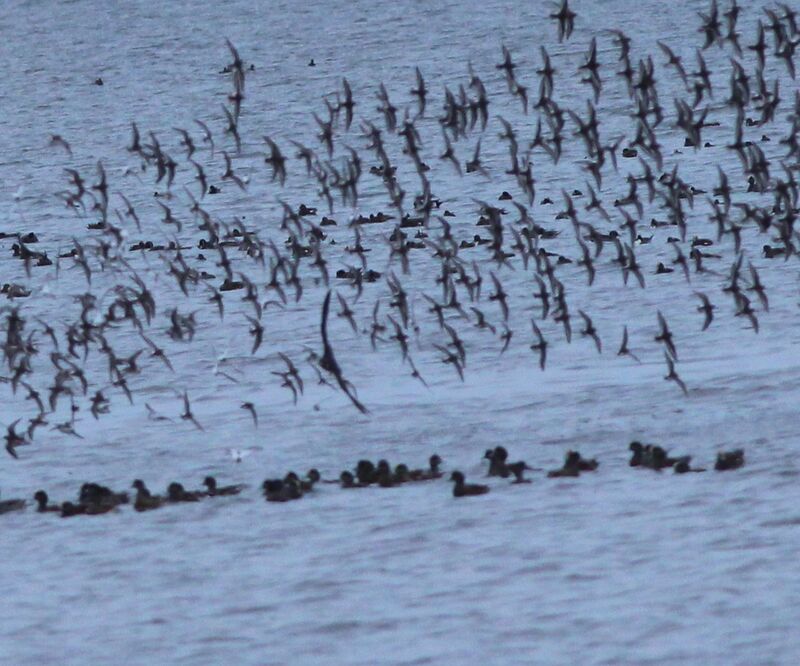 This caused all the shorebirds to take flight. In the chaotic photo below, you can see the Falcon near the lower centre-right area. 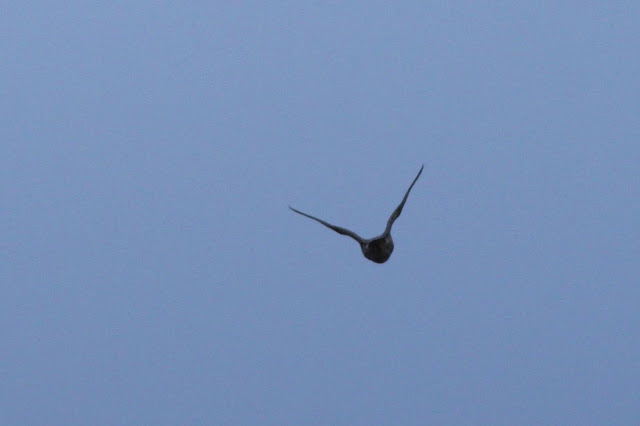 If you cant see it in that photo, here's a zoomed in shot with the Falcon as the largest bird in the foreground. 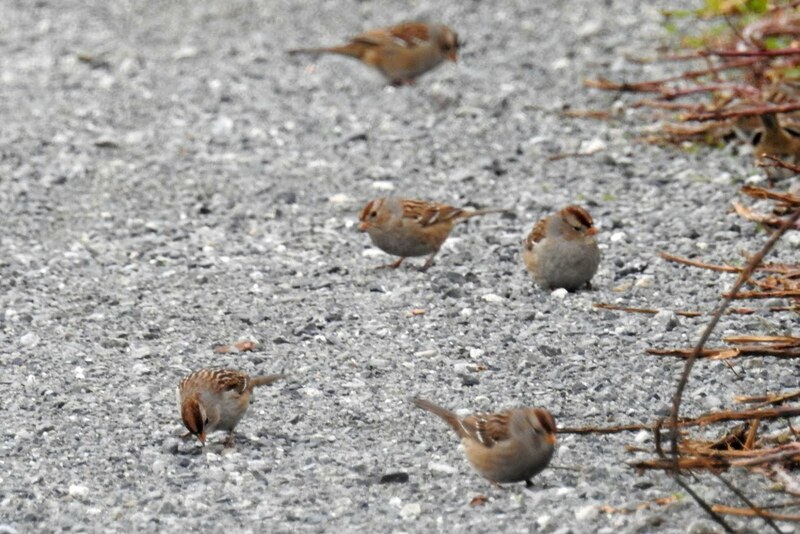 One more sparrow shot before I left. 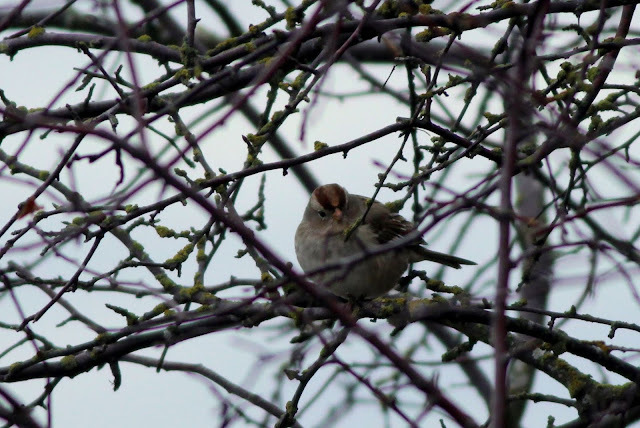 I'm pretty sure that this is an immature White-crowned Sparrow, but it could be an immature Golden-crowned as well. 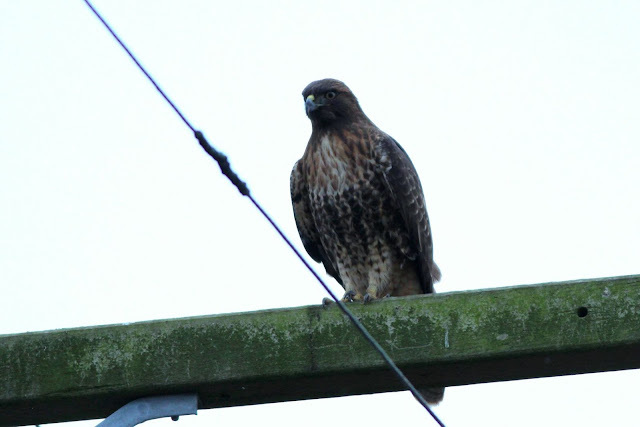 On my way home I took 112 St back to the bay as I've seen Hawks and Falcons on the telephone poles and wires. I was rewarded with this hawk for the last bird of the day.